UPDS HAS SIGNED MOS (MEMORANDUM OF SETTLEMENT) WITH GOVT. OF INDIA AND GOVT. 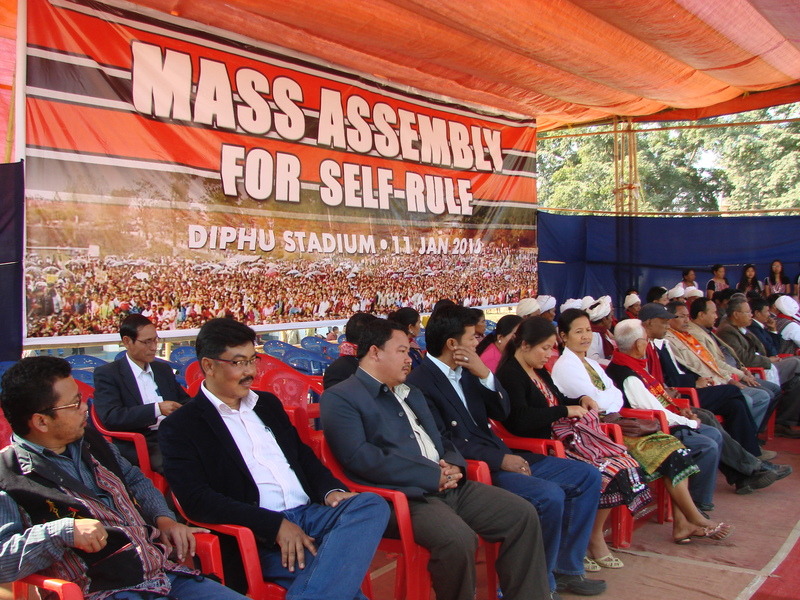 OF ASSAM FOR MORE AUTONOMY TO THE HILL DISTRICT AND THE OUTFIT GOT DISBANDED ON 16DEC 2011. 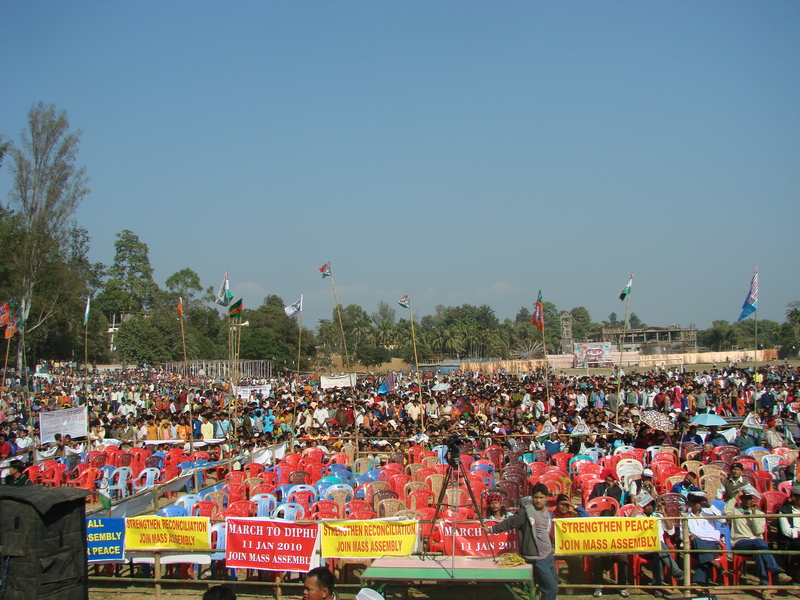 The United People’s Democratic Solidarity (UPDS) was formed in 22 March 1999 with the merger of two terrorist outfits in Assam’s Karbi Anglong district, the Karbi National Volunteers (KNV) and Karbi People’s Front (KPF). The outfit signed a cease-fire agreement for one year with the Union Government on May 23, 2002. However, this led to a split in the UPDS with one faction deciding to continue with its subversive activities while the other commenced negotiations with the Government. Currently, there are two factions: pro-talks and anti-talks. 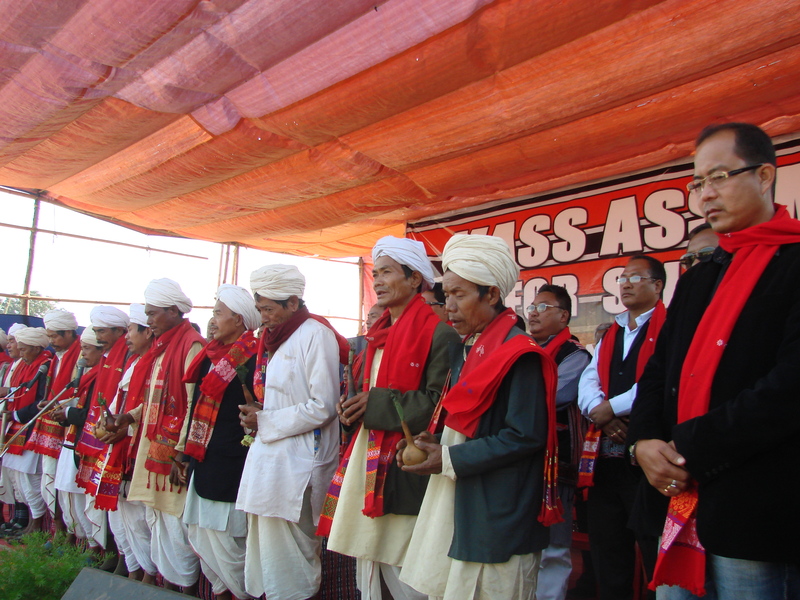 On May 16, 2004, the UPDS (Anti-Talks) rechristened itself as the Karbi Longri North Cachar Hills Liberation Front (KLNLF) and its armed wing as the Karbi Longri North Cachar Hills Peoples’ Resistance Force (KNPR). Kiri Rongphar was the founder ‘chairman’ of the outfit. He was arrested on October 22, 1999. On August 22, 2002, UPDS ‘commander-in-chief’ Long Kumar Kiling died of injuries sustained during a feline attack in the forests of Karbi Anglong district. At present, the outfit is headed by its Chairman Longsoder Singnar alias H E Kathar and General Secretary Haren Sing Bey. T Nongloda is the outfit’s Publicity Secretary and Lindok Ronghang its Finance Secretary. The total cadre strength of the UPDS is estimated to be a little more than 150, of which at least 50 are believed to be armed with sophisticated weapons. The outfit’s main area of operations is in the Karbi Anglong district, with a relatively minor presence in the North Cachar Hills district. The outfit is known to have grown with the active assistance of the National Socialist Council of Nagaland-Isak-Muivah (NSCN-IM), which provied it with arms and ammunition. It is reported to have procured arms and ammunition from Bhutan and Bangladesh. 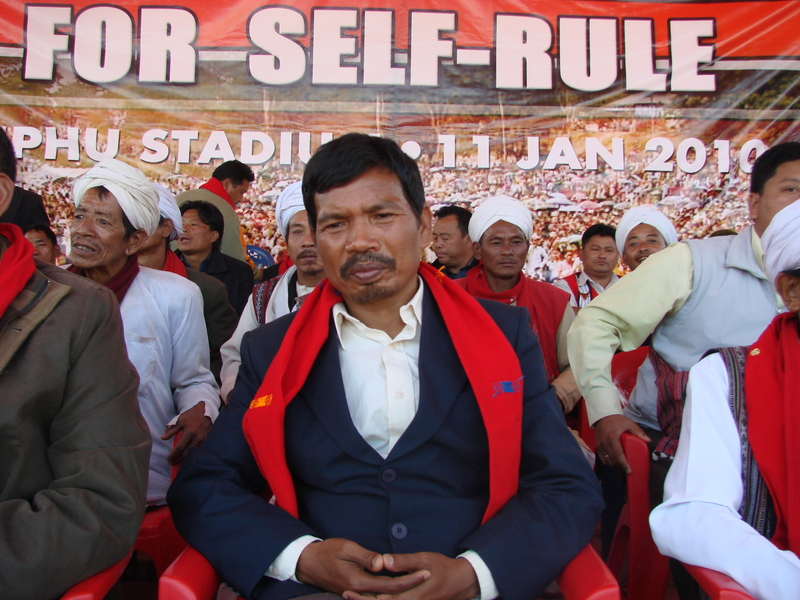 The UPDS also shares a ‘working relationship’ with the National Democratic Front of Bodoland (NDFB) and the United Liberation Front of Asom (ULFA). Abductions for ransom and extortion are the main sources of income for the UPDS. The outfit generates a considerable amount of revenue by targeting the ginger producing Kukis in the Singhason Hills area. 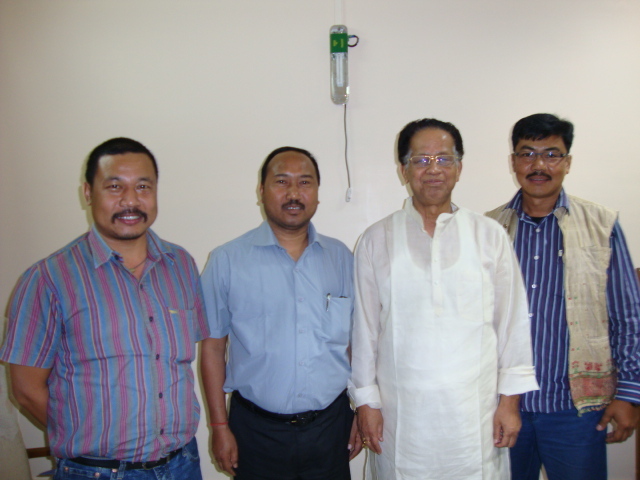 The non-Karbi traders are also targeted for extortion. The outfit held six rounds of peace talks with the State and Union Govenrment representatives between 2002 and 2006. Tha last round of talks was held on July 26, 2006. Subsequently, the outfit pulled out of the talks process complaning of lack of progress on its core demands. The outfit’s cadres are lodged in one Govenrment guarded designated camp at Diphu with 60 cadres, two main camps and several sub-camps. Chairman of UPDS during the Mass Rally for Self Rule. 2.UPDS is not a terrorist organisations but a group who are demanding for a political rights of its people within the ambit of the constitution of India. 3.Pradip Terang @ P.Dili is the founder chairman of united KNV and KPF – UPDS. 4. It was a total mis propaganda by rival faction on UPDS commander in chief Long kumar injury in feline attack. Latter he made appearance in front of the press within two days. 5. It has no relation with ULFA nad NDFB of what so ever. at the same time UPDS never indulge the organization in subversive activities and keep itself from terrorist action. 6. The total strength of the outfit is 350 and the number of weapon is 300 of which 80 percent is AK series. The Dismantling of Autonomy in Assam’s Hills: Who is responsible?